The multimedia experiment continues as I put Lehto’s Law out there in two forms: Audio and Video. This week I explain why it is important to get things in writing. I have written many times about how it can make life much simpler if you ask for certain things in writing. And as I was thinking about it, it dawned on me that I should expand on it a little more in my podcast. This is also my second show with a video component. I am still working on the technical aspects of that so bear with me as I bump the table while I rant, and try to figure out if anyone will notice the oddball stuff on the bookshelf behind me. And if anyone has a 3-D printer, maybe I can do the show in that medium as well. Lifesize, I assume. 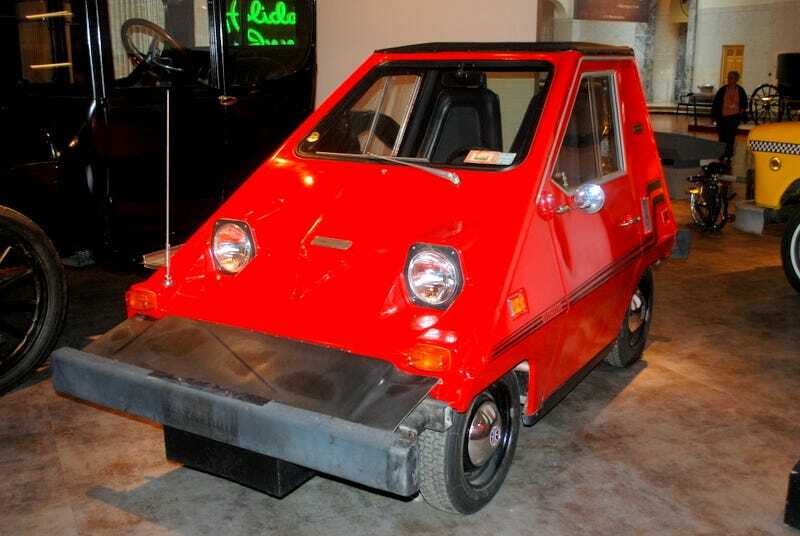 Oh, and the mostrosity at the top is the 1980 Comuta-Car. Saw it at the Henry Ford museum. I snapped the picture and ran, fearing that being in its presence too long might bring harm to me or my loved ones.